If you’ve ever been involved in developing a mobile game, you’re surely familiar with Unity. Many current mobile games for smartphones, tablets, and more have been developed using the game engine, and we also use it to develop our games. 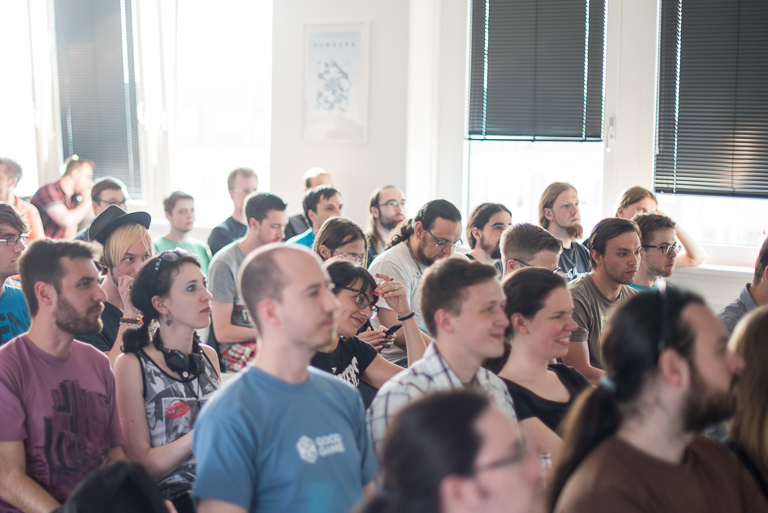 This week, we partnered with Innogames to host Hamburg’s second Unity Meetup – even the sunny weather couldn’t keep around 100 people from enjoying an evening socializing in our café. The highlights of the evening were two presentations from genuine Unity experts. 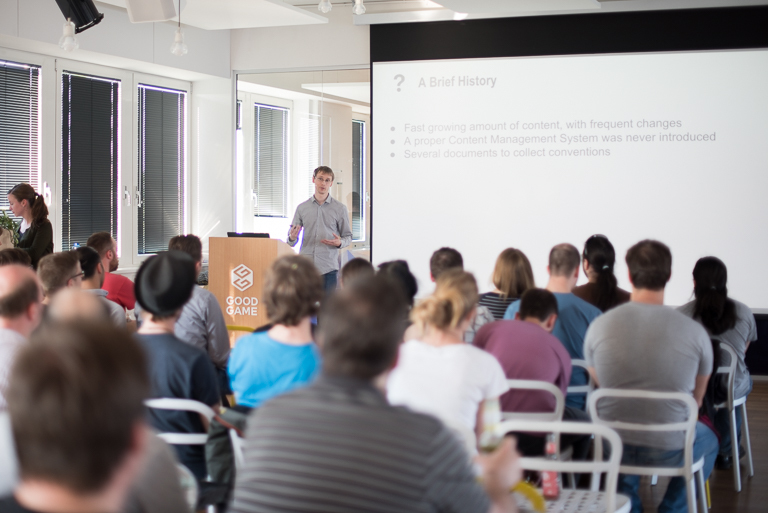 The event was kicked off by Pierre, a senior client developer from our RPG Studio. His topic: automatic asset validation. In layman’s terms, this means that Pierre has developed a solution with his team that helps them expand and add to their games in a simpler way. The validation step ensures that new content aligns with previously established formats and requirements – for example, it checks that all graphics have been attached correctly or that every character has been assigned a shadow. In the second presentation, Arne from InnoGames explained how to multithread with Unity. Using this method, sophisticated computing processes in games – such as automatically generating game worlds – can be split up and moved to the background. If it’s done right, the game runs smoother and doesn’t lag. Of course, we didn’t let anyone sit through the presentations on an empty stomach. Our excellent event team once again ensured that guests were treated to plenty of delicious snacks and finger food during the event. This of course made the subsequent networking session twice as fun – and delicious! Networking between gaming companies helps the entire industry to grow and thrive. Hamburg’s flair for digital entertainment has been proven not only by the big, established gaming companies here, but also by numerous indie developers. With events like the Unity Meetup, we gladly do our part to make Hamburg the gaming capital of the world. Events like this are therefore important for sharing knowledge and developing synergy effects. In the end, it’s a win-win for everyone since exchanging knowledge helps each participant to develop themselves and contribute to the big picture – in this case, to new ways of working with Unity.